Twilio believes that having a diverse workforce brings unique ideas to new prototypes. And when employees feel included, not only will exceptional talent come to the company, they’ll be happier and stay longer. “You can spend a lot of money on just recruiting and bringing people through the door; but, if you don't have an environment and a culture of inclusion and diversity, the talent that walks in will walk right back out,” says LaFawn Davis, Twilio’s Global Head of Culture and Inclusion. Twilio recently captured its diverse workforce in a video titled, “You Belong At Twilio,” which showcases staffers at all levels. Or Christine Roberts, Vice President of Twilio’s Super Networks team, who considers that what comes out of an innovation cycle of diverse viewpoints, and the acceptance of those viewpoints, is something bigger and better than you could have ever created in a homogeneous environment. These employees don't just work at Twilio, they’re thriving at Twilio, regardless of their gender, sexuality, ethnicity or age. “Inclusion—and even further, belonging—helps people feel like they have not only a seat at the table but that they have a voice that can be heard and respected,” said LaFawn. LaFawn is quick to point out that someone applying for a job at Twilio is more than what's on their resume. 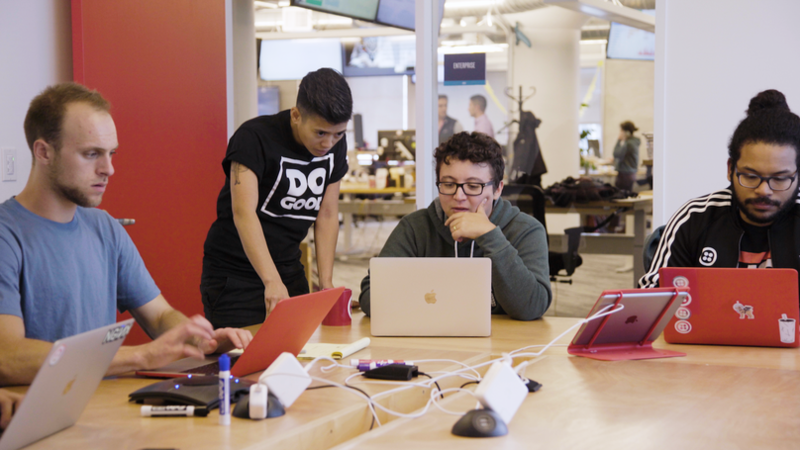 To that end, Twilio developed Hatch, a six-month apprenticeship program designed to reach out to people in underrepresented groups who may have non-traditional educations or informal work experience. “Maybe you went to programming boot camp for 12 weeks, or maybe you taught yourself how to code...We’ll bring you in for six months, with the hope is that you convert to a full-time software engineer after that,” said LaFawn. Programs like Hatch set Twilio apart from other tech companies competing for the same pool of candidates. LaFawn further states, “Part of our strategy is around having an equitable approach. We want to meet candidates from all backgrounds and strive to remove barriers to access and opportunity and seek talent where other companies may not be looking." Exceptional talent is the result of many inputs, whether its different backgrounds or genders or worldviews; yet, many companies don't end up offering jobs to qualified applicants because they aren’t seen as a “culture fit” if their background or identity is outside the norm. Twilio has always sought out a diverse workforce, but with 17 offices, only four of which are in the United States, diversity comes with the territory. You’re bound to hire people from different backgrounds when you’re opening offices all around the world. With offices around the globe, we require a broader definition of “diversity” than most Silicon Valley tech companies might land on. “This is not a US situation. This is not a San Francisco-centric issue. This is a global issue,” LaFawn insists. “So, while our concern is definitely about women and underrepresented populations like race and LGBTQ+ and veterans, and all of those things, it's also about people who bring with them a different skill set, or background, or education." That salesperson was spot on; companies want to buy from ethical companies that have a good culture and good people. Developers want to use products built by companies that have similar values. “You can look at our culture as a product. And as it evolves and becomes more diverse, we're going to see more and more deals. We're going to build more products, and we're going to create better high-performing teams. It creates trust. And all of that affects the company's bottom line,” said LaFawn. Do You Belong At Twilio? If you think you have what it takes to belong at Twilio, check out the links below to learn more.